The new radar is reported to provide 360-degree coverage for US missile defense systems, with no blind spots. Washington and Tokyo are working toward developing a new radar system for Aegis-equipped US Navy ships, as a "part of efforts to improve defense capabilities," diplomatic sources told Kyodo news agency Sunday. The new system aims at countering new weapons, including hypersonic cruise missiles being developed by China and Russia, sources disclosed, adding that coordination on the project had entered the final phase. Japan according to reports is using the joint venture as a means to strengthen its defense against a possible attack from North Korea, which Tokyo considers a viable threat to national security. In the meantime, Japan's decision to join the project has raised concerns that it could be seen as encouraging a new arms race between world superpowers, Kyodo reports. Currently, US Navy Aegis-equipped ships rely on the AN/SPQ-9B radar system, reportedly capable of detecting low-flying threats. However, this system uses traditional rotating radar, inherently prone to blind spots. According to Kyodo, one AN/SPQ-9B costs approximately $4.1 million, while the new system is likely to cost much more. The new system will be a non-rotating radar providing a constant 360-degree coverage, and will be used in conjunction with another system, AN/SPY-6, which specializes in high-altitude targets and is scheduled to be delivered starting in 2020, the report reads. The Aegis is a primarily maritime missile defense system originally developed by the Missile and Surface Radar Division of RCA Corporation and currently produced by Lockheed Martin. In 2016, the US launched the first stationary land-based version, called Aegis Ashore, in Romania. 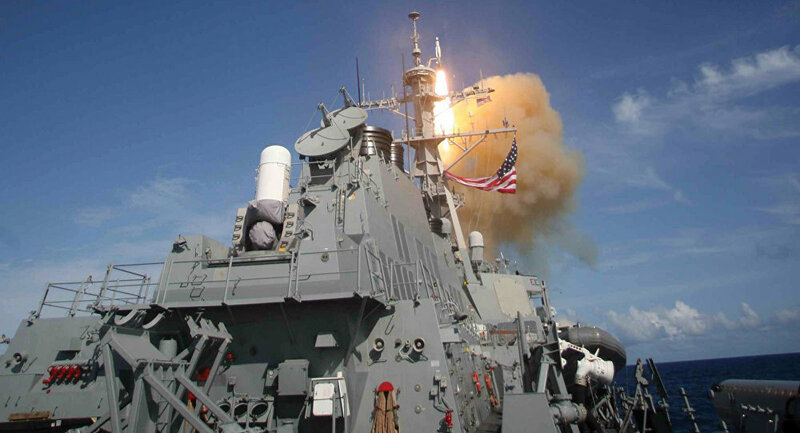 Russia has repeatedly condemned the deployment of Aegis Ashore in countries close to Russian borders, saying the missile defense system can easily be repurposed for offensive missile launches.